Resilience is the capacity to recover readily from depression, serious health problems, divorce, death, and other traumatic events. Even after devastating tragedies, individuals are able to bounce back from hard times, rebuild their lives, and emerge stronger. However, being resilient doesn’t mean going through life without experiencing distress and pain. It is common to react to hardships with emotional pain, grief, and a range of other emotions as well as a sense of uncertainty. Dr. Ron Breazeale notes, “Resilience does not involve avoiding one’s feelings, it involves confronting and managing them”. friends, and peers that build love and trust, provide nurturing, and offer encouragement and reassurance. The ability to manage and contain strong emotions including impulse control and frustration tolerance. A positive self-esteem and confidence in one’s strengths and abilities. Viewing oneself as resilient and in control. Looking for positive meaning in one’s life. The capacity to create realistic plans and take steps to reach one’s goals. Effective communication, problem solving, and coping skills. Cultural beliefs, traditions, and rituals that help us cope. Reaching out for help and relying on others. 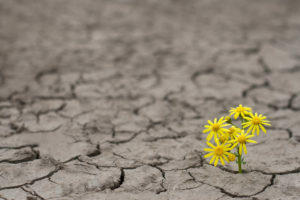 Develop a personal strategy in building resilience. Find an approach that works well for you. The following considerations may assist you on your road to resilience. Nurture Yourself: Take time to nurture and care for yourself. It’s easier to have a happy and positive outlook. Doing something physical is a great way to overcome a low mood. Your mind and body are connected, so get adequate sleep and learn some simple relaxation techniques. Most importantly, engage in activities you enjoy and find relaxing. Manage Strong Feelings: Think clearly to be able to take action without behaving impulsively and responding only out of emotion. Managing strong feelings is a skill. Facing adversity requires a balance between both thinking and feeling. View Problems as Possibilities: Be curious and change your perspective and how you respond to hardships. You can’t change the fact that misfortune happens. If you are having a hard time, remember the good times. Memories often reflect and reinforce our current mood. Use creative critical thinking skills to solve and find creative solutions. Avoid blowing things out of proportion. View your life in a broader context and keep a long-term perspective. Understand Change is Part of Life: Learn to tolerate high levels of uncertainty and ambiguity. Remember the Serenity Prayer, “God grant me the serenity to accept the things I cannot change, the courage to change the things I can and the wisdom to know the difference.” This prayer can help you focus on circumstances you can adjust. Create Clear Attainable Goals: Working towards goals can give you a sense of purpose and reaching them increases your self-confidence. Knowing what is important to you can help you make sure you know where to focus your attention. Develop realistic goals and break them down into achievable steps. Small accomplishments propel you forward while building optimism. Be as precise as possible. Be Optimistic: An optimistic outlook helps you to maintain healthy expectations and hopefulness that good things will happen. View difficulties as temporary. Create an image of what you want to happen in your life and take decisive action. Develop Confidence: Make a list of your strengths. Being aware of what you are good at helps build confidence. Believe in yourself and your abilities. Reach out and Create Connections: Create a network of close family members, friends and community connections to turn to when facing adversities to get support and help. Develop a sense of belongingness by joining civic groups, faith–based organizations. Helping others may also benefit you. Build Special Interests: Engaging in opportunities of self-discovery builds a sense of meaning and purpose in life as well as enriches your life. Share you experiences, passion, and knowledge with others. As you can see, there are a handful of effective ways to be more resilient and cope with hardships. Once you are able to overcome the obstacles in your life, you will be a happier, stronger, more focused, and more optimistic individual. Face the change with resilience and strength, and good outcomes are near.